We’ve recently relocated our workshop after more than 20 years at the same location. The new location is three times bigger, allowing us more room to work on your pride and joy with dedicated diagnostic facilities and accessory installation bays. We have been repairing car airconditioning systems to the highest industry standard since 1994. A lot has changed in the airconditioning field but not our dedication to providing you with the best possible service using ozone friendly refrigerant and quality parts. As an authorised Denso service centre we have access to OEM quality parts, often at greatly reduced prices. The Experts the Professionals Use. Did you know that more than 70% of our work is entrusted to us by new car dealerships and other automotive workshops? 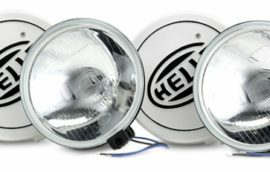 Why wouldn’t you use the auto electrical experts that the professionals use? Car won’t start? Start with us. 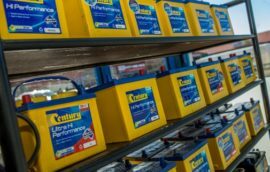 We carry a large range of batteries to suit all manner of vehicles. 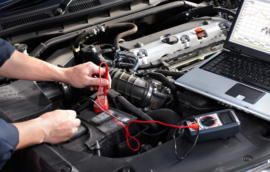 We can accurately diagnose your car’s electrical system and if required, replace your battery on the spot. No stress, no fuss. Did you know we can install a wide range of accessories and upgrades to your vehicle, whether it be a car, 4WD or caravan? We take great pride in the quality of our workmanship. We love the feeling of satisfaction when a customer takes delivery of their vehicle and ‘everything just works’. We have at our disposal the widest range of automotive diagnostic tools in the Canberra region including OEM factory scan tools for reprogramming. We can help you accurately diagnose faults with your vehicle and have you safely back on the road in the shortest possible time. Your car’s airconditioning system requires servicing at regular intervals to keep you cool and comfortable. If your airconditioning system is not performing as it should, give us a call. We carry a large range of batteries to suit all sorts of vehicles. We can test your vehicle’s charging system and battery on the spot and if required, change your battery while you wait. Do you have a tricky problem with your vehicle? We specialise in sorting out those jobs which are often considered ‘too hard’. As certified Bosch Specialists and Denso repair agents, our technicians are trained to the very highest technical standards. Established in 1994 as a small auto electrical workshop, Tuggeranong Auto Electrics has developed into the most advanced specialised workshop in the ACT region. Specialising in complex diagnostic solutions, often providing answers to those 'too hard' jobs. Continuing expenditure on technical resources, tools and training provide us with the right tools to help you solve any problem. We have access to the greatest range of diagnostic scan tools in the ACT region with factory OEM solutions for many manufacturers. We are the auto electrician of choice for many of our local dealerships, with our specialised knowledge and experience greatly benefiting these workshops. We are members of the Vehicle Air-Conditioning Specialists of Australia (VASA) and can provide expert repairs and advice on your car's Air-Conditioning system. We are also a fully accredited Bosch Specialist, NRMA approved repairer, MTA member and Denso service agent, with access to the vast information systems these organisations provide. Whatever your auto electrical dilemma, we can provide a solution! Give us a call today and discuss your needs.